Rainy winter mornings when The Four-Year-Old wakes up early and there are guests in the house simply scream for complicated breakfasts. This is especially fun when The Four-Year-Old is in a measuring and stirring sort of mood. On this particular morning, The Four-Year-Old and I made a scrumptious batch of experimental Apple Oatmeal Pancakes (based* on a recipe in the Wilson Farm Country Cookbook). I loved them. Gran (our guest) loved them. Even The Four-Year-Old pronounced them delicious, before realizing what she had said and declaring a firm preference for cereal. You can find lots of recipes from Wilson Farm on their website. Unfortunately, the recipe for the Apple Pancakes we made this morning isn’t one of them. 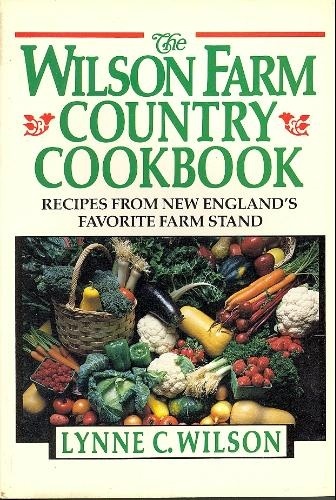 For that, it looks like you’ll need Lynne Wilson’s cookbook. Although it was published in 1985, it’s still available in used editions on Amazon.com or fresh from the farm for $5 (next time you find yourself in Lexington, MA). *Because we like our pancakes to have texture here at Caterpickles Central, I routinely modify pancake recipes to replace up to half the flour with rolled oats. I had two instead of my usual one or none. Shala put in apples and served them with real maple syrup. And yes, the four-year-old loved them!